Thomas Paine (February 9, 1737  – June 8, 1809) was an influential thinker, writer and philosopher and a key figure in British radicalism. 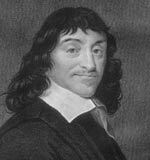 His writings were influential in the French and American revolutions. Paine also embodied the spirit of the Enlightenment. Paine was born in Thetford to relatively humble origins. For a time he was apprenticed in his father’s corset business. He then spent time working in an excise office in Grantham, Lincolnshire and later Lewes, East Sussex. In 1771, he married his first wife, Elizabeth Olive. Around this period, Tomas Paine became increasingly interested in local political matters. He was involved in a local Vestry church which collected taxes and tithes to distribute to the poor. In 1772, Paine became active in a campaign to press for better working practices for excise duty workers. This led to his first publication The Case of the Officers of the Excise. After being dismissed from work and narrowly avoiding debtors prison, through selling his household goods, Paine left for London and, after meeting and impressing Benjamin Franklin, he left for America under the patronage of Franklin. 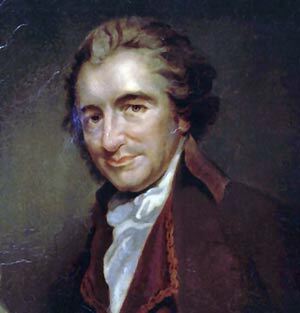 It was in America that Paine became a household name through his publication of a revolutionary pamphlet – Common Sense. It was a call for American independence based on a just republican government. It became a best seller and was influential in setting the tone of the American independence movement. Paine’s ideas were not unique but, he had had the capacity to popularise ideas in simple but effective language. During the war of independence, George Washington often read out the writings of Paine (from his Crisis Pamphlet series) to inspire his men. Paine’s next great influential work was his pamphlet the “Rights of Man” written in 1790 whilst living in London. Paine was a great supporter of the French revolution. He saw the revolution as an important reaction against the tyranny of King’s and monarchy. Paine was excited at the prospect of Republican ideals of liberty, fraternity and egalite. The Rights of Man was a powerful defence of individual liberty and representative democracy. In many ways, Paine was far ahead of his time, he went on to write about the necessity for a government to offer comprehensive welfare support for the poorest in society. 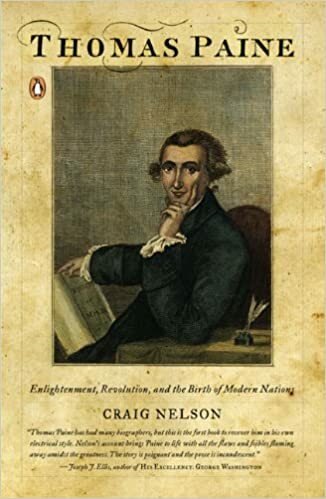 Despite support from fellow intellectuals such as William Blake and Mary Wollstonecraft – during the Napoleonic wars, there was a growing campaign against the radicalism of Paine. Paine’s Rights of Man led to his indictment for seditious libel and this forced Paine out of Great Britain. A concerted campaign against Paine was effective in making him a figure of hate or at least suspicion, apart from all but his most loyal supporters. With the advent of the Napoleonic wars, the atmosphere of nationalism intensified the suspicion of anyone with radical sympathies and Paine increasingly was seen as an outcast in Great Britain. It was perhaps ironic that Paine later turned on Napoleon – after Napoleon’s moves towards dictatorship. Paine described him as “the completest charlatan that ever existed”. This was despite Napoleon once claiming he slept with a copy of Paine’s Rights of Man under his pillow. In 1797, Paine had even written an essay on how Napoleon may invade Britain. Another irony for Paine was that, as one of the most enthusiastic supporters of the French Revolution, he only narrowly avoided the guillotine in Robespierre’s reign of terror. Along with George Washington and Benjamin Franklin, Paine was granted honorary French citizenship and elected to the National convention. He was in full support of the French republic but, to the surprise of many, opposed the execution of Louis XVI, arguing in principle it would be better to exile him to the US. The problem for Paine arose with the ascendancy of Robespierre. In their increasingly repressive regime, Paine, along with other Girondins were arrested and imprisoned in December 1793. Paine’s cell was marked for his execution, it was only his ill health and a mix up which spared him from the guillotine. After the fall of Robespierre, Paine was released; after becoming increasingly disillusioned with Napoleon’s regime, Paine returned to the US at the invitation of President Jefferson. During his imprisonment in France, Paine began one of his most controversial works of the era. His work ‘The Age of Reason‘ was a stark criticism of Christianity and the role of religion in people’s lives. Paine made a case for a Deist belief system – a personal relationship with God, without the interference of priest and organised religions. Thomas Paine died in 1809, mourned by few at the time. 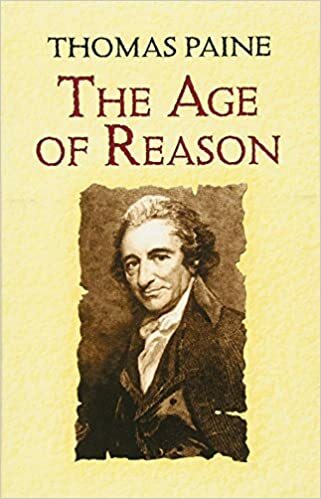 Thomas Paine has been a lasting inspiration for secular humanism, deist beliefs, and was also an inspiration to later radicals and socialists. Citation: Pettinger, Tejvan. “Biography of Thomas Paine“, Oxford, UK. www.biographyonline.net – First published 21st Jan 2010. Updated 8th January 2018. Famous Americans – Great Americans from the Founding Fathers to modern civil rights activists. Featuring Thomas Jefferson, Abraham Lincoln, Madonna, Oprah Winfrey.